Selling Per Set ( CMYK ) @ RM1099.00 . 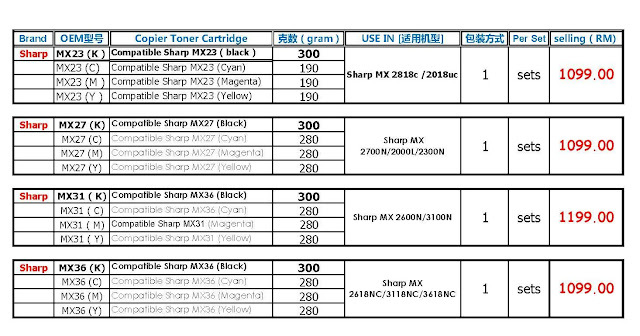 SHARP Price List Packed In Four [ 4 ] Units Per Pack. VOLUME BUYER ARE WELCOME TO CONTACT US. WAN YANG DISTRIBUTION (M) SDN.BHD. WAN YANG was founded in 1998, as major exporter of HP, Canon, Lexmark and Epson brand original toner cartridges, inkjet cartridges, ribbon cartridges and copier toner kit. 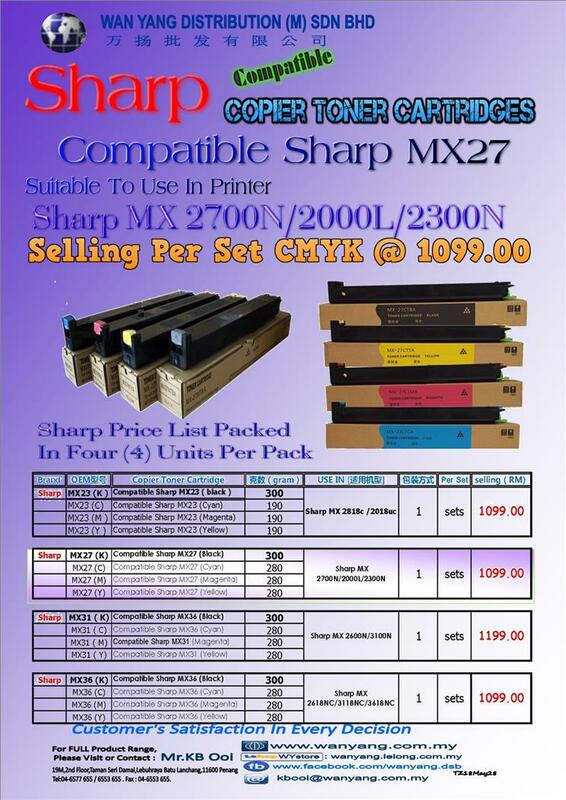 The company functions primarily as an exporter of printer consumables, including remanufactured laser and inkjet cartridges, brand new inkjet cartridges, copier toner kits, compatibles ink cartridges, auto refill system, printer ribbons and parts. WANYANG has established strong relationships with business partner and supplier worldwide, offering an extensive range of high-quality products at competitive prices.